Fighting- & Selfdefense Skills:Blue belt in kickboxing at the Wku. Muay Thai Trainer License at WMF. My name is Stefan and I am 41 years old. I have been training Kickboxing and Muay Thai for about 10 years and Krav Maga for a little more than a year. 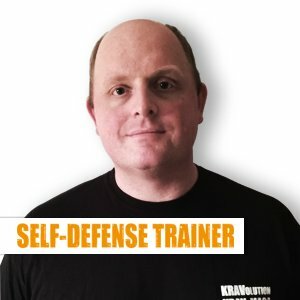 I came to Krav Maga in 2017 through the Crisis prevention course. It absolutely convinced me and led me to choose Krav Maga.